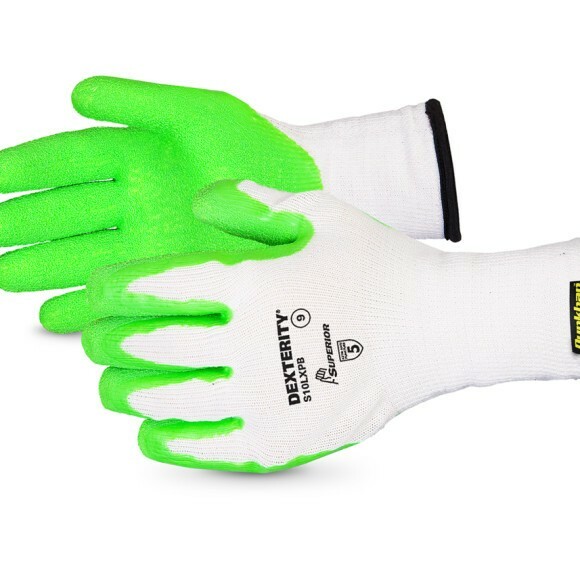 Our Dexterity® latex-coated gloves combine the seamless comfort of a string-knit glove with a hi-viz lime green puncture-resistant latex coating over a 10-gauge regular cotton/poly string knit. SKU: S10LXPB. 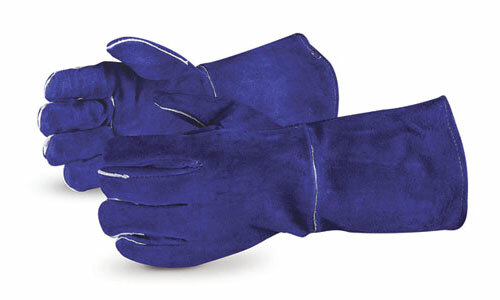 Categories: Cut Level 4, Cut Resistant Gloves, Superior Glove. Tags: Hexarmor 9014, Punkban, S10LXPB, SSLXPB. 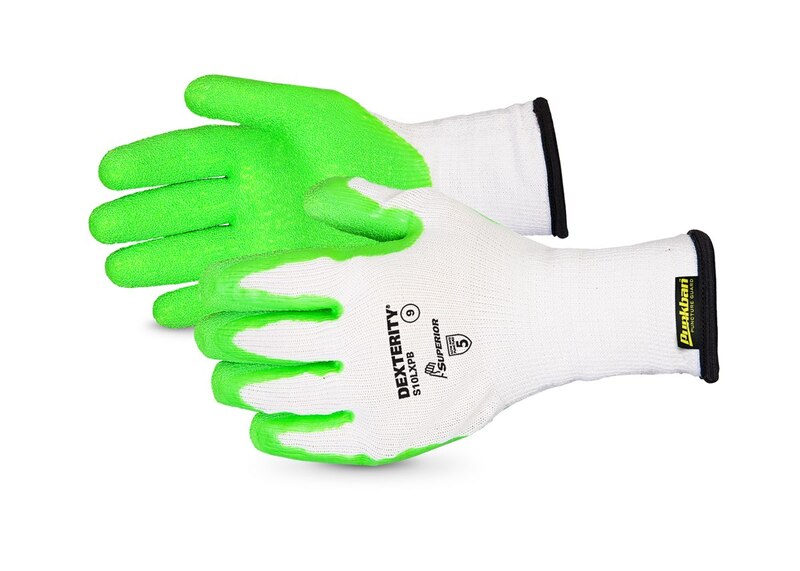 Our Dexterity® latex-coated gloves combine the seamless comfort of a string-knit glove with a hi-viz lime green puncture-resistant latex coating over a 10-gauge regular cotton/poly string knit. 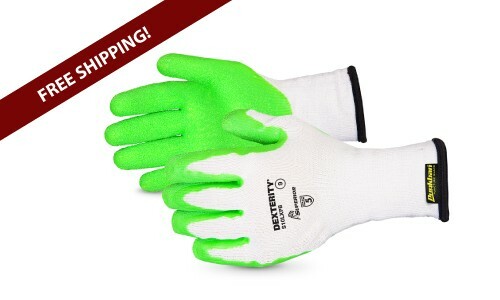 Unique, wrinkle-grip latex, applied to the glove over an ergonomic hand form, delivers excellent wet/dry grip with improved comfort and dexterity. 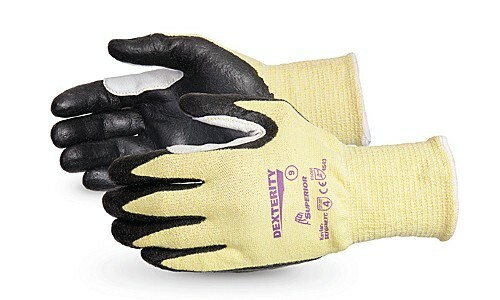 Seamless comfort that is shaped to your hand, combined with a dependable grip, make Dexterity® a great choice for a variety of applications. Finger tips feature wraparound Punkban™ protection. Punkban™ offers puncture protection in a woven material. 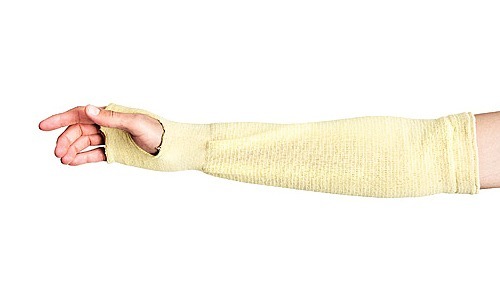 This pioneering breakthrough has been made possible by bringing together innovative, leading edge textile technology to combine spinning and weaving of Kevlar® by a unique method pioneered by Superior Glove. The resultant puncture resistant woven fabric is light and supple. This engineered fabric is incorporated in our exclusive range of gloves that provide incredible puncture protection. 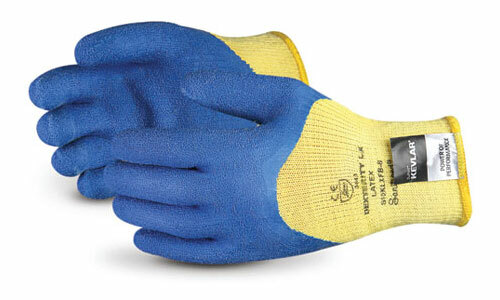 You’ll experience dexterity like never before in the new Punkban™ series of gloves. High cut hazards: metal stamping, sheet metal handling, glass handling, food service. Offers very high protection against punctures.